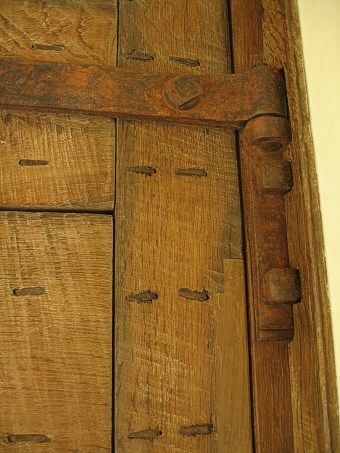 One of the pair of heavy iron door hinges and pintles. The iron pintles are securely fixed through to the outside of the door frame by stainless steel threaded rods and are concealed by external oak cover mouldings. 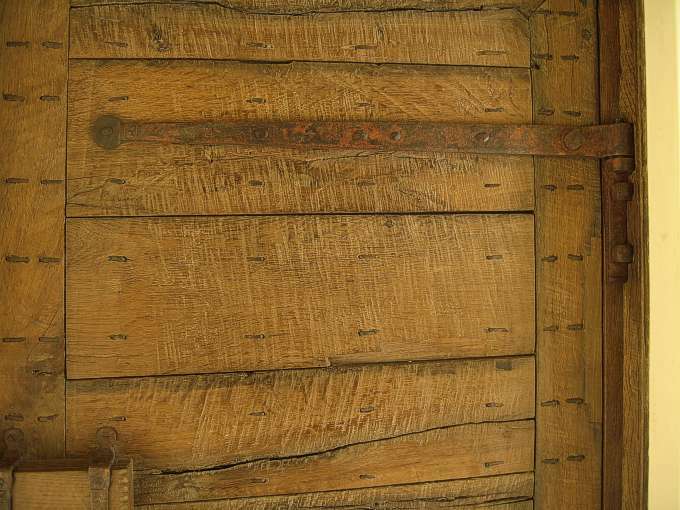 Detail of hinge and pintle.